The Winter Solstice this year falls on the 21st December at 22.23 in the UK. Since I’ve been honouring these points in the calendar, where ancient civilisations have marked this astronomic event for millennia, I’ve felt much more connected to nature and to my own existence. The extreme point of darkness marked a time of renewal for the ancients, the sun at its furthest point symbolised a New Year and a turning point in the calendar where the light begins to return. In traditional culture, the winter solstice is a time for nourishment, as ancient land dwellers would have had little light or warmth at this time and would need extra care to last the harsh winters. I still connect to this, perhaps through my ancestors, even in my centrally heated flat, I feel the desire for creating cosy-ness and use nourishing personal rituals to feel the warmth of being alive. If I don’t remember to do this, I often feel like time is flowing too quickly and I’m just running after it without direction. 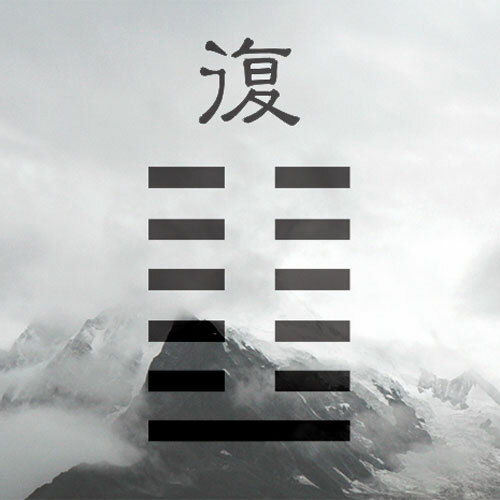 The Chinese concept of yin and yang represents balance and harmony in life: the yin qualities of cold & darkness peak on the shortest day of the year, but also mark a turning point for the warming light of yang returning.This is symbolised by the I Ching hexagram fù 復 which means ‘returning’ (of the longer days, of the light, of warmth). The ancient Chinese were known to prepare nourishing soups with healing herbs to restore the body - they would use bone broth but vegetable stocks are all I know and love. According to the philosophy of traditional Chinese medicine, the physical body is able to absorb nutrients best during the cold winter months. Winter solstice then is a time for healing, where nourishing rituals are prepared to sooth the mind and warming foods are eaten to boost the physical and spiritual health of the body. This winter solstice I have given myself an aim in creating comforting, self indulgent (in a healthy way) rituals, which I extend to you … I get excited when I have some time to myself in the evenings and I can indulge in alone time. In an evening I love to nourish the body with healing foods, then later soaking my body in a soothing bath of salts & oils before reclining. For the last months I’ve been journaling some personal issues I’ve been restling with (some for most of my life) … attempting to remove stuck-ness or blocks. Searching in this darkness for what I can extract and offer up to the light. From this I mean, allowing deep rooted traumas stuck in the body to express themselves and release. I’ve been noting what habits, behaviours or identity/ thought forms I may be clinging to, that may be running my life on default. These unbalancing patterns collected- perhaps connected to trauma, can create a mirage of sorts in daily life, made up partly of society ideals and of family/ peer conditioning. Take a moment to remember your ancestors who you carry with you in your DNA, so that their legacy or how they lived can strengthen your understanding of your life and you can progress. For me this is my living family too, I’m learning to un-do tightly held beliefs and see how events in my early childhood have shaped these beliefs for the good and the bad. I’m journaling out mind chatter when I hear it, to see if it can synchronise with any event in my early childhood - in order to transcend it. The aim to realise it for what it is (largely not my voice). Soothe and reprogram it with how I want to go forward. This can be a long and infinite process. Winter is the season to recharge yourself and plant deeply the seeds you intend to grow with the returning light.